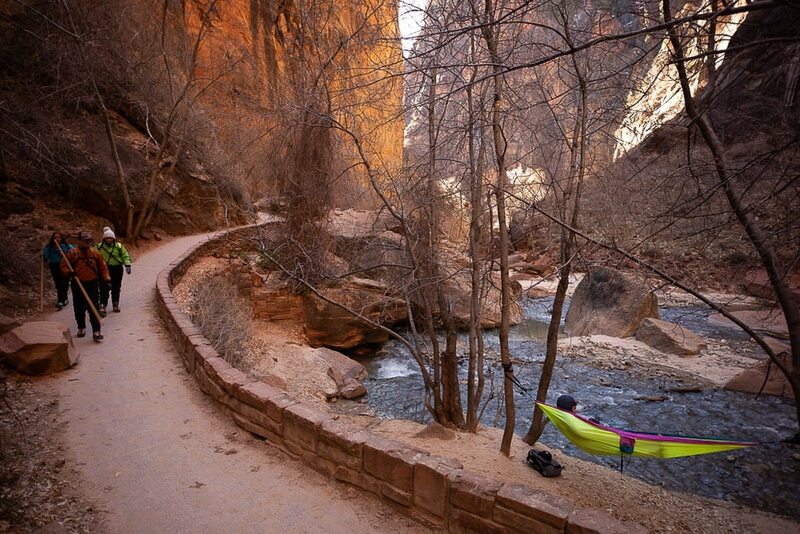 (Trent Nelson | The Salt Lake Tribune) A woman in a hammock at the end of the Riverside Walk in Zion National Park as the government shutdown continues on Saturday Jan. 12, 2019. (Trent Nelson | The Salt Lake Tribune) Zion National Park as the government shutdown continues on Saturday Jan. 12, 2019. 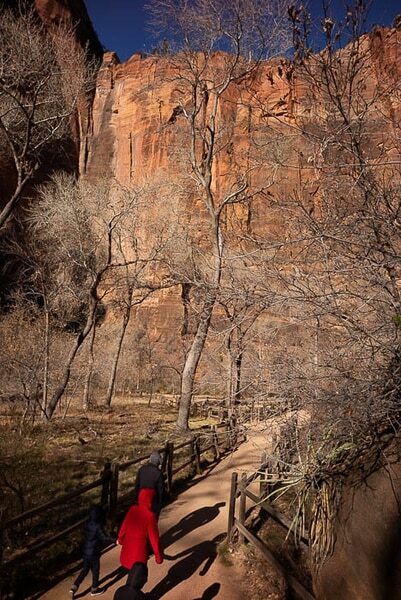 (Trent Nelson | The Salt Lake Tribune) Hikers on the Riverside Walk in Zion National Park as the government shutdown continues on Saturday Jan. 12, 2019. (Trent Nelson | The Salt Lake Tribune) The shuttle buses at Zion National Park sit idle in a lot as the government shutdown continues on Saturday Jan. 12, 2019. (Trent Nelson | The Salt Lake Tribune) The shuttle buses at Zion National Park sit idle in a lot as the government shutdown continues on Saturday Jan. 12, 2019. (Trent Nelson | The Salt Lake Tribune) The shuttle buses at Zion National Park sit idle in a lot as the government shutdown continues on Saturday Jan. 12, 2019. (Trent Nelson | The Salt Lake Tribune) A donation box in the Zion National Park Visitor Center on Saturday Jan. 12, 2019. Information posted at the park's entrance announces that during the shutdown, Enttrance fees cannot be charged during the shutdown. There is a donation box in the Visitor Center. 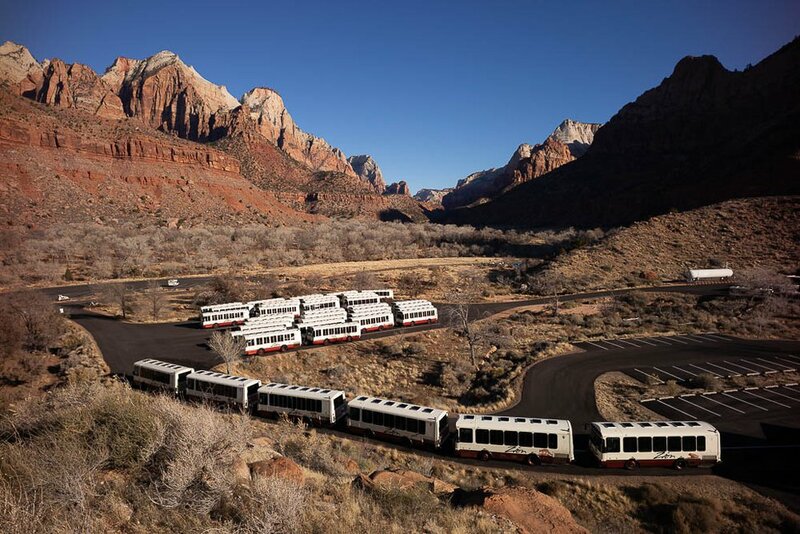 (Trent Nelson | The Salt Lake Tribune) The shuttle buses at Zion National Park sit idle in a lot as the government shutdown continues on Saturday Jan. 12, 2019. Zion National Park • Carle Clayburgh and her friends from Los Angeles planned an outdoor trip to this iconic Utah destination in November. That was before a budget impasse over President Donald Trump’s demand for border wall money led to a government shutdown, which is now 26 days long, the longest in the nation’s history. Clayburgh and her crew didn’t know what to expect when they arrived in southern Utah or even whether Zion National Park would be open. What they found was a park where no one was collecting entrance fees and where parking lots at normally packed trailheads were nearly empty, offering relative solitude. They also had a difficult time finding an open restaurant in nearby Springdale. Something nagged at Clayburgh as she made the trek to Angels Landing, a popular hike with steep drop-offs near the top. “If something were to happen like a slip or fall, would there be nobody here to help us?” she wondered. The answer could very well be that they’d be on their own, since so many of the park’s employees have been furloughed. Zion was strangely quiet on a rainy weekday right before what is usually the busy Martin Luther King Jr. holiday weekend. There were only three occupied campsites in one loop at the Watchman Campground. Six cars parked at the visitor center. There were seven cars at the normally packed Riverwalk trailhead. Nearby Springdale looked all but deserted. Dozens of new parking spots graced with $20 per day meters were empty. Many popular dining spots looked closed. Hotels and the Zion Lodge inside the park saw only a few cars in parking lots. For Zion regulars, this is unusual, but the lack of crowds didn’t seem extraordinary to Bryan Robson, director of visitor operations for the privately owned Springdale Visitor Center. He said January is often the least-busy time at Zion. Many commercial establishments were shuttered. After Feb. 1, things start to pick up again. From a visitor standpoint, there are few noticeable changes because of the shutdown. Restrooms were clean, open and well stocked. A park ranger, thanks to outside funding, stood behind the information desk at the visitor center, which is open from 8 a.m. to 5 p.m. daily. The Zion tunnel is open to oversized vehicle escorts from 8 a.m. to 4:30 p.m. The park shuttles are shut down for the season. Even before the government shutdown, the vehicles were scheduled to cease wintertime operations after Jan. 1. (Trent Nelson | The Salt Lake Tribune) The shuttle buses at Zion National Park sit idle in a lot Saturday, Jan. 12, 2019. Little law enforcement is present, though a cruiser from the Washington County Sheriff’s Office was patrolling the campground and park roads. While one information officer is working at the visitor center, there is little interpretation. No wilderness or climbing permits are being issued. Visitors were being asked to report any vandalism to park authorities and to be aware that they are responsible for their own safety. Some rangers working the desk are getting partial pay due to an arrangement with state, local and private groups. According to Lyman Hafen, executive director of the Zion Forever Foundation, his organization, the state, Washington County and St. George are all chipping in money to keep Zion going with reduced services. 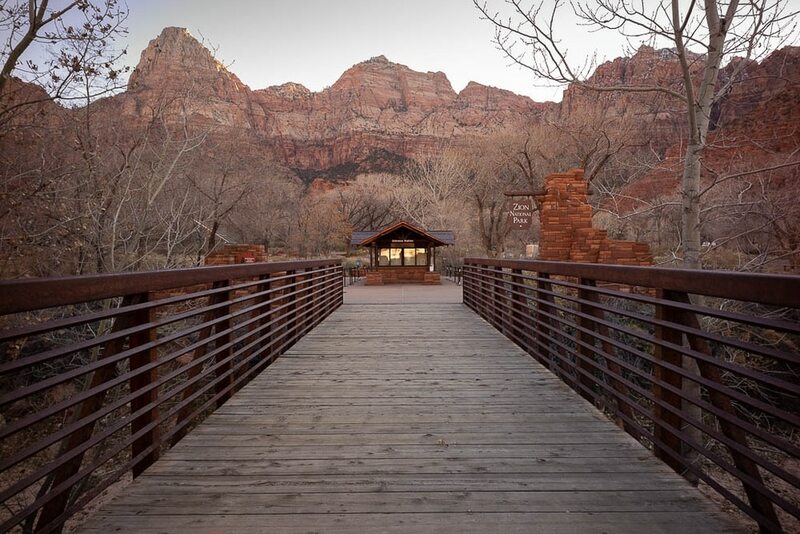 Hafen, whose group helps Zion by operating the bookstore at the visitor center and raising money through merchandise sales, said that some park employees are being paid for three instead of five days each week. But he said law enforcement, the superintendent and the staff are not. So his group is helping finance basic services for the 10,000 or so visitors who typically come to the park each week during a relatively slow season. Hafen said only about 10 percent of normal services are currently being offered, though, from a visitor’s standpoint, it would be difficult to know that. Scott Ripley of Orlando, Fla., was taking a quick trip to the park. As the three-day Martin Luther King Jr. holiday weekend approaches, it appears as though Zion will remain operating with basic services.